Stenner Replacement Pump Model 85MHP40. Rated to 100 psi. Santoprene Tubing. Adjustable Head Pump. 2 to 40 Gallons / Day. Pump head and motor as seen in the photo is all that is included (no extra parts). This is typically ordered as a replacement pump. If you have any questions about this product by Stenner Pump Company, contact us by completing and submitting the form below. If you are looking for a specif part number, please include it with your message. 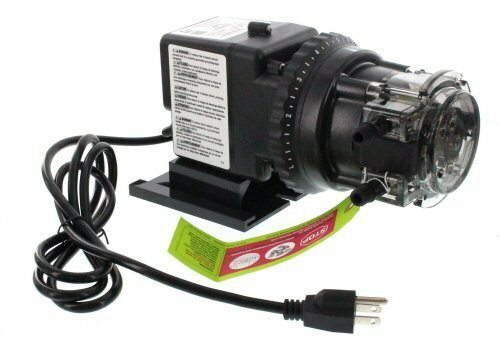 Hallmark Industries MA0343X-4A Deep Well Submersible Pump, 1/2 hp, 230V, 60 Hz, 25 GPM, 150' Head, Stainless Steel, 4"